This is a collodion wet plate of yours truly holding a pumpkin to bring in the fall. 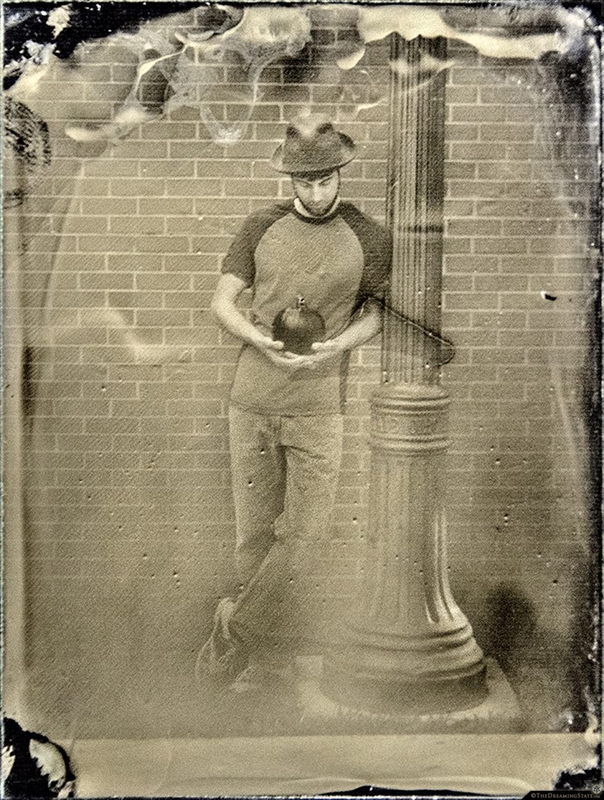 I spent a few hours today trying out this old photographic process, originally introduced in the 1850’s. It involves a portable darkroom, glass as negatives, and a bunch of really crazy smelling chemicals. 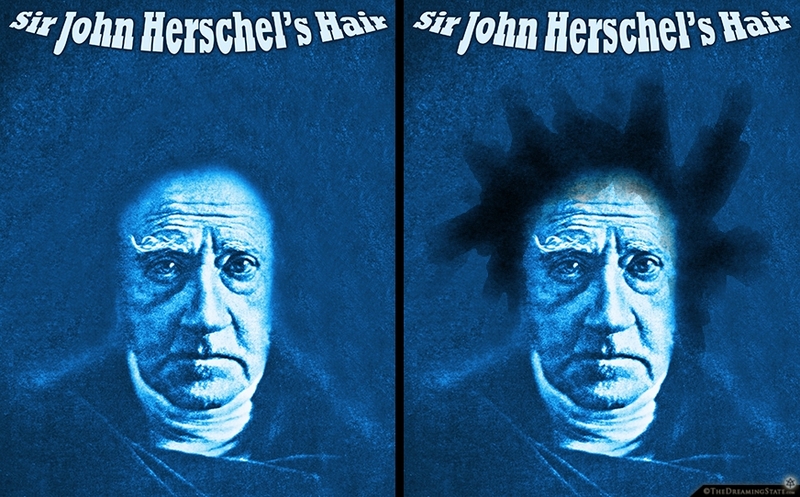 Sir John Herschel discovered the cyanotype process for making photographs. His hair is out of control… I Photoshopped out all his hair from an old portrait and made a cyanotype on special Asian paper that turns black when wet. 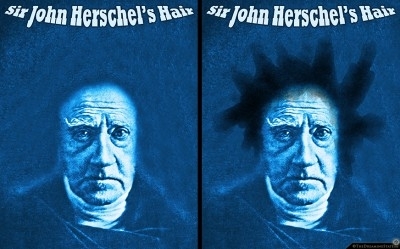 The final product is a fun parlor game where you get to “paint” in Herschel’s crazy hair, let it fade away, and paint it again.